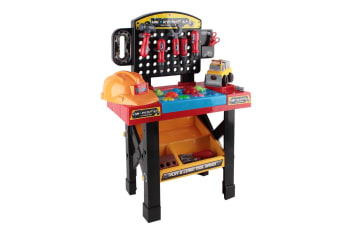 Featuring a colourful workshop tool series pretend play set with 52pcs accessories, this pretend play set is perfect for kids to perform role plays with friends and parents. 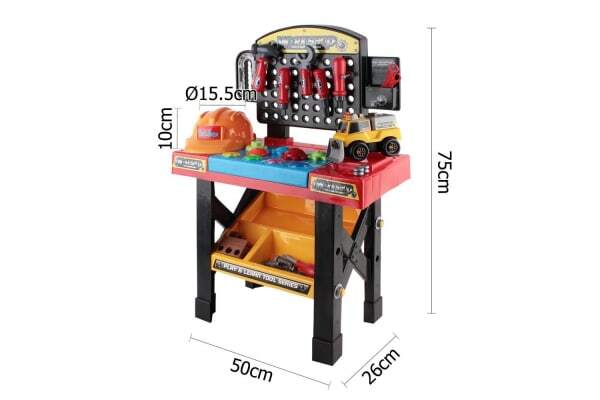 With large leg frame forming a stable workbench for kids to assemble the toy car safely. 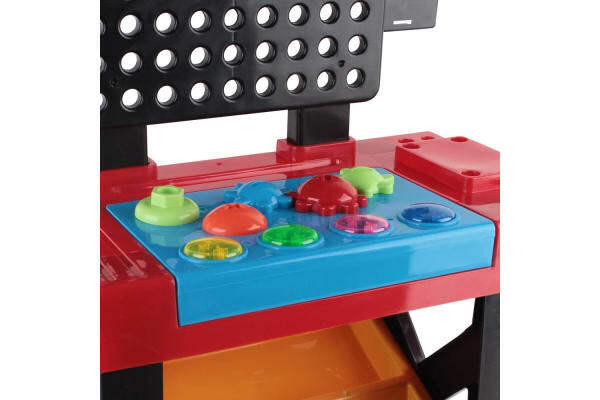 While the play set provides plenty of fun during play, it is also an excellent learning play set for kids to develop hand and eye coordination. Let!-s bring this fun and creative workshop pretend play set home for your loving ones.